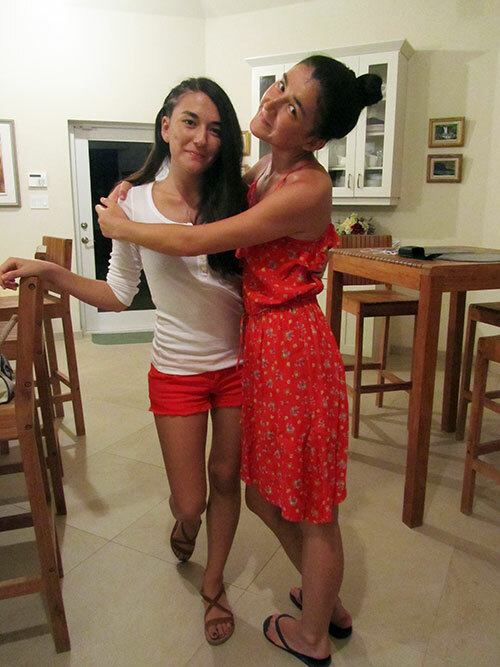 That time of the year is upon us here in Anguilla! High season is just around the corner. 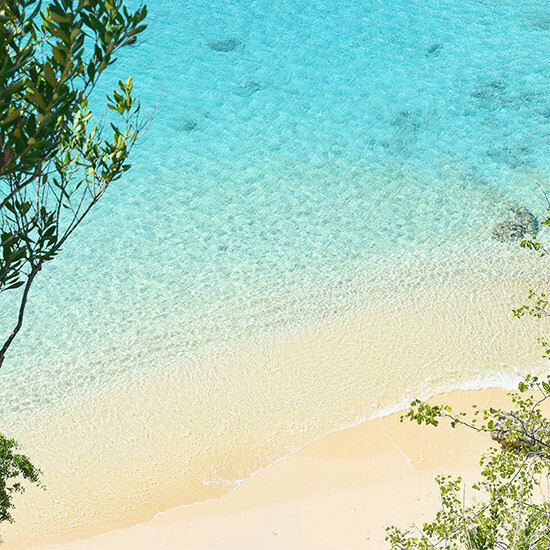 This year marks several big changes, including the opening of new hotels The Reef, Manoah and Four Seasons Anguilla. 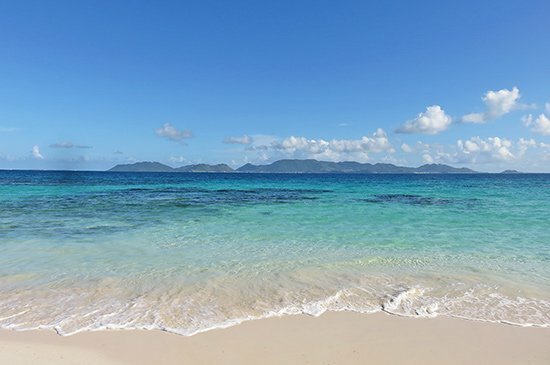 With Seaborne Airlines flying to Anguilla daily from San Juan, it is sure to be an exciting season. 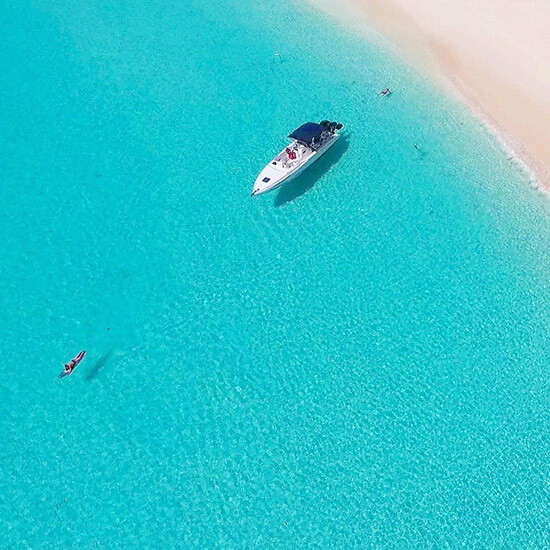 An uncharacteristically calm start to fall, the south side of Anguilla put on quite a show this October! 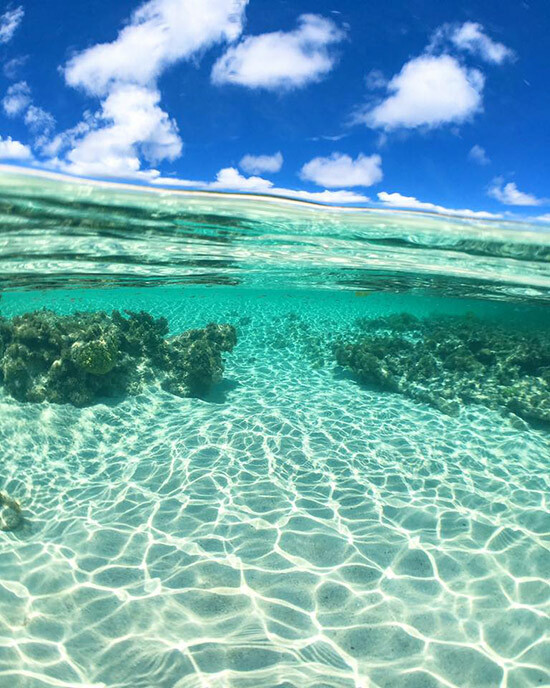 From all angles, Maunday's Bay took our breath away. 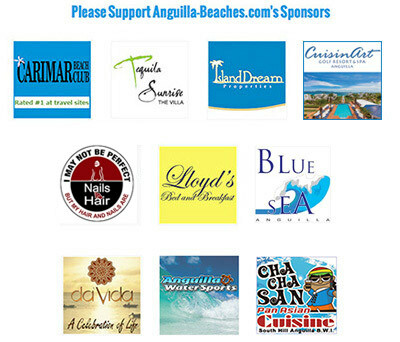 I am excited to announce that locally-loved beauty salon, Nails R Hair has joined Anguilla-Beaches.com as a Site Sponsor! 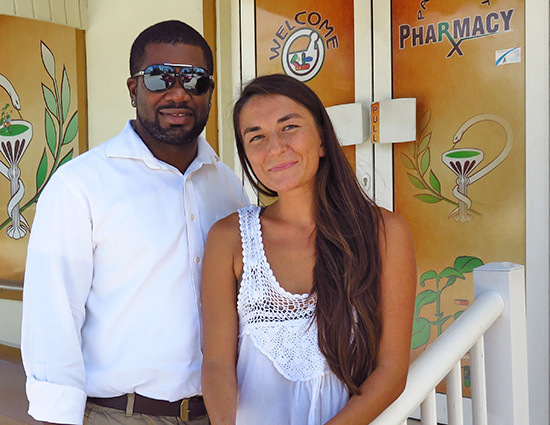 Anguilla's "favorite" beauty salon, Nails R Hair is known and loved island-wide. ... and intricate nail designs. 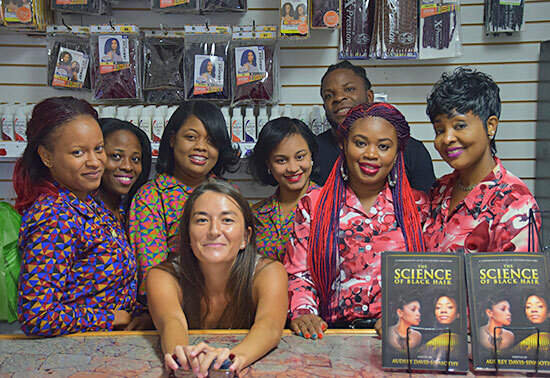 The warm and light-hearted Nails R Hair team offers manicures, pedicures, braids and even massages and facials. When it comes to pedicures, Anna takes good care of you as you sink into the plush leather massage chair. She strikes a soothingly-warm temperature and then on come the jets. Professional and kind, ask for Anna. If it's privacy and calm you seek, Nails R Hair's A+ quality can also be enjoyed in the comfort of your villa, too! 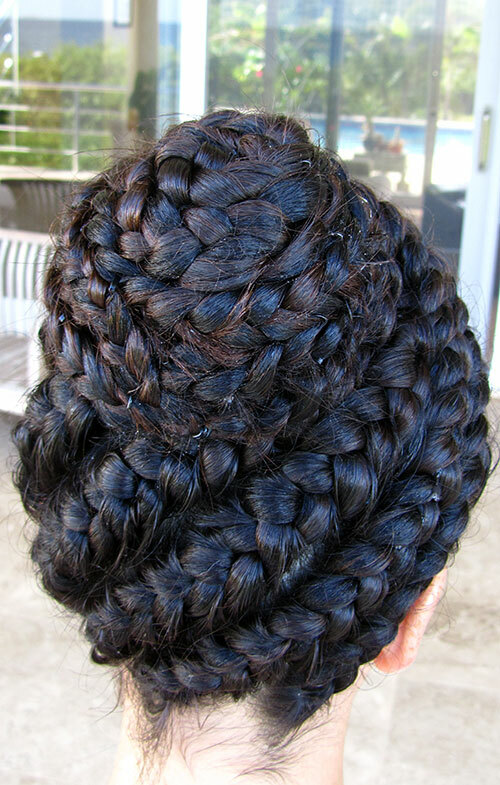 More on Nails R Hair. 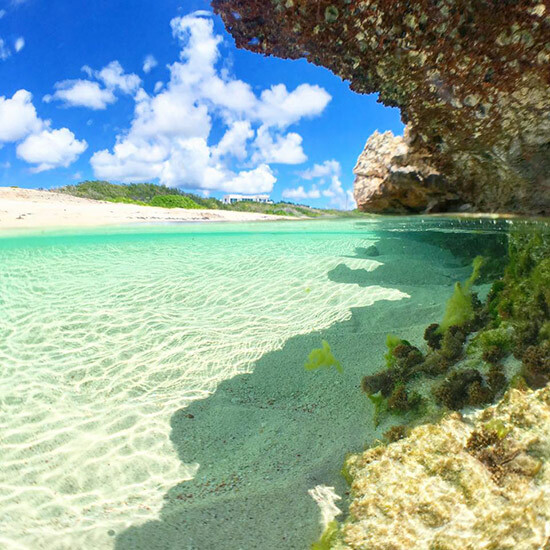 Jackie Cestero of Nature Explorers Anguilla has done it again! She covers over 85 species and even tells you where you can commonly spot them. 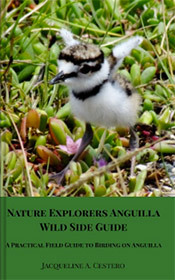 Beautifully photographed, it's a must for every Anguilla nature lover! Omari Banks is Back at da'Vida's Sunday Beach Party! 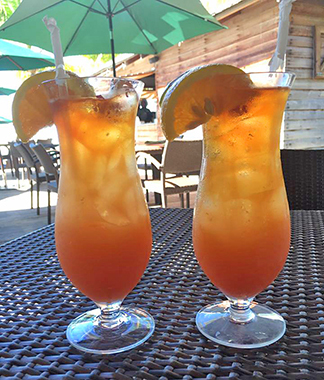 Yep, da'Vida's Bayside Grill has re-opened for the season! ... And a warm welcome every time you walk through the door! 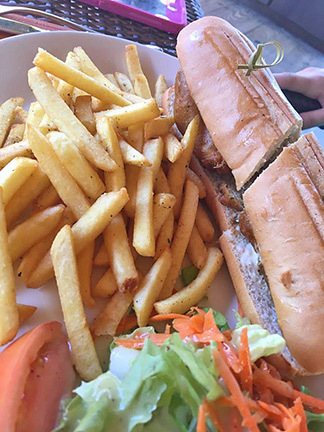 da'Vida Bayside Grill gets it right time and time again. For all of us who love the smooth sounds of Omari Banks, he is back at da'Vida's Sunday beach party held weekly! da'Vida re-opens for dinner on Nov. 17. Stay tuned for updates. An up and coming DJ whose name is on the tip of everyone's tongues, DJ Kue is a warm soul who sure knows how to bring the party! A favorite for happening beach parties and elegant and luxurious weddings, DJ Kue is a name to know. 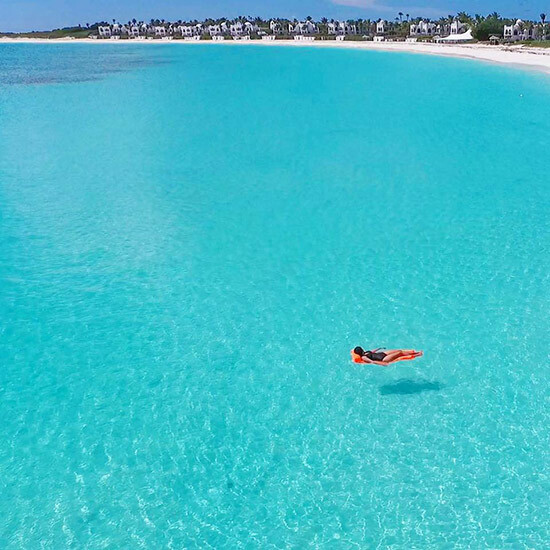 At a fraction of the price of luxury hotels who offer beachside settings, Carimar has long been a top choice when it comes to where to stay in Anguilla. The value is simply unbeatable. We recently "flew over" Carimar and its slice of paradise on Meads Bay. Click here to see Carimar from a whole different perspective. 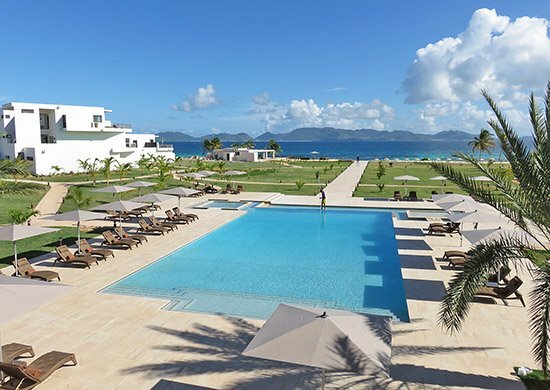 Four Seasons Anguilla has opened its doors! With an unmatched reputation for excellence, the sophisticated five-star resort promises to be one of the Caribbean's best luxury hotels. 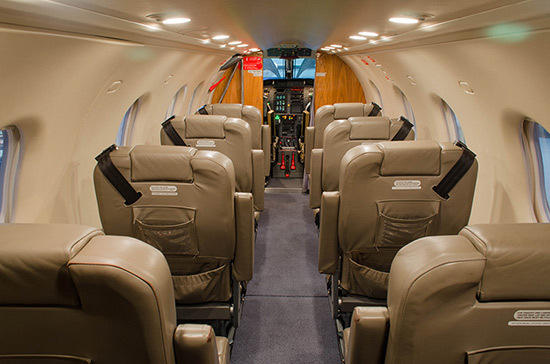 Tradewind Aviation has recommenced their scheduled flights between San Juan and Anguilla! 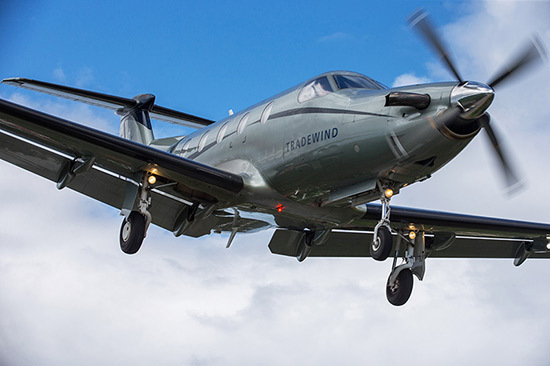 Flights are ultra-comfortable in Tradewind's plush and modern Pilatus PC-12 aircraft (flown by two pilots) with a pressurized and air-conditioned cabin. All flights also include complimentary drinks, snacks, wine and beer. 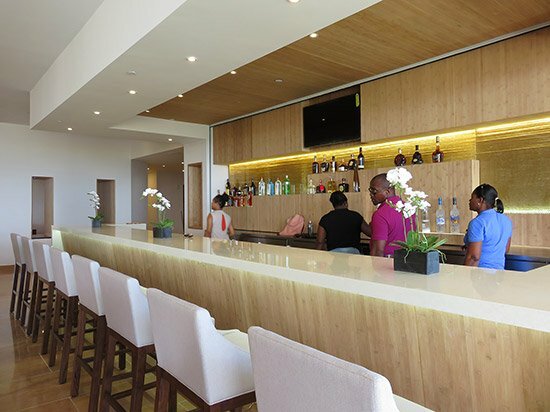 And you have access to Tradewind's private lounge in San Juan, too! 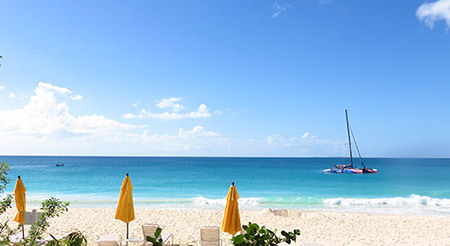 Use your Anguilla Card to book and save 10%! This fall (for arrivals from now - Dec. 18, 2016), pay for 6 nights and get a 7th night free. 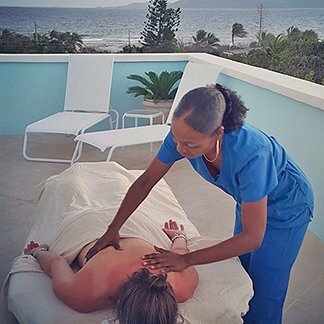 AND, save 10% when you use your Anguilla Card! A high-value deal, it gets even better! What else is included in your stay? 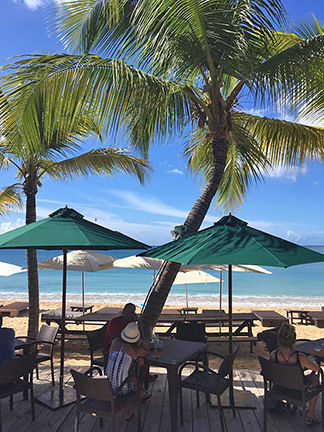 Beach chairs right on Meads Bay! For more on Twin Palms Villas, click here. 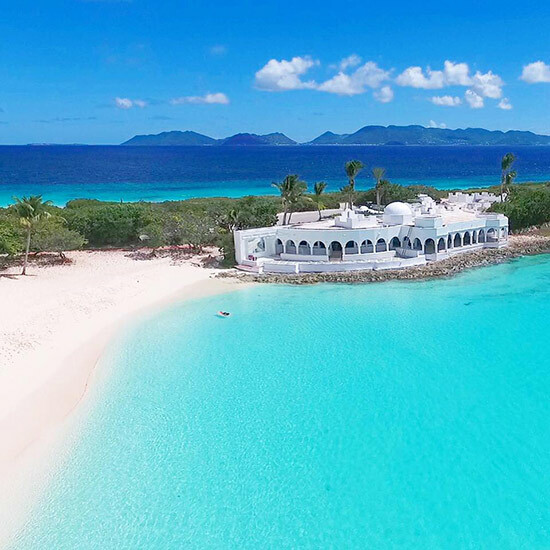 The luxury Anguilla villa that offers it all, Tequila Sunrise Villa is a favorite for many reasons. 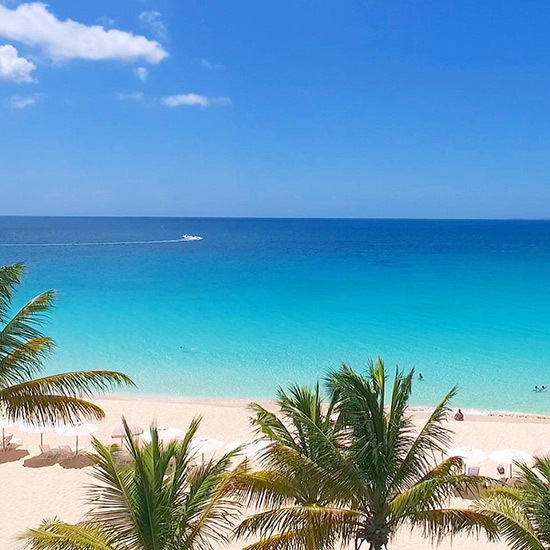 Its plush suites that gaze out to St. Martin and the Caribbean Sea, daily breakfast and caring housekeeper, Heather, and who can forget the unlimited ice-cold Patron! There is no denying the beauty of this secret cove that Tequila Sunrise calls home! The countdown is on. 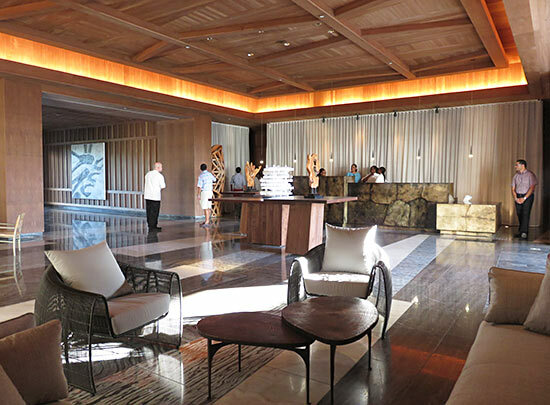 Come November 10th, The Reef by CuisinArt will open its doors and re-define Anguilla luxury. Set on Merrywing Bay (to the west of Rendezvous Bay), this stretch of coastline has long caught the eye of big name developers. Sweeping vistas, exclusive sandy shorelines and a particular curve of land that always catches a cooling sea breeze. It is not hard to see why Temenos and St. Regis pursued a project here in the mid-2000's. Click here for the sneak pre-opening peek at The Reef!